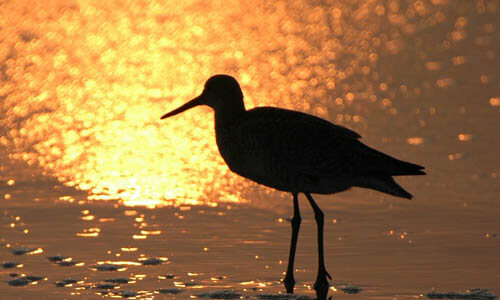 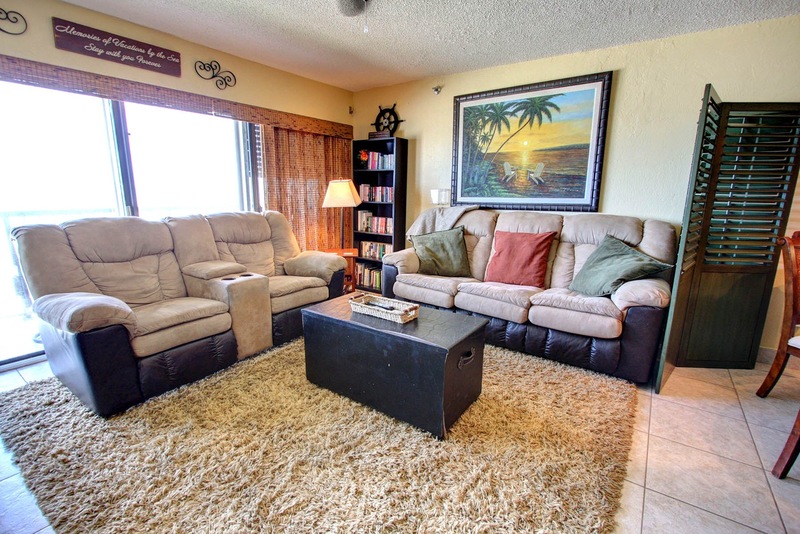 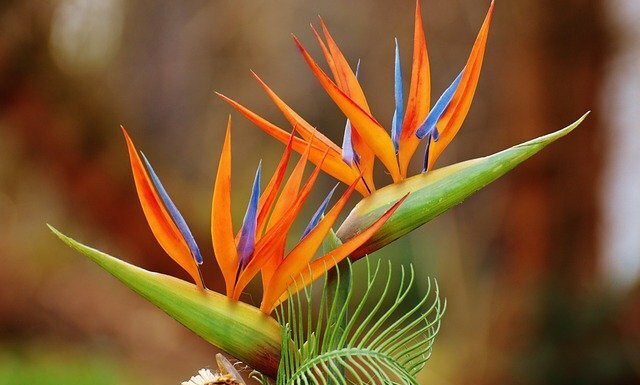 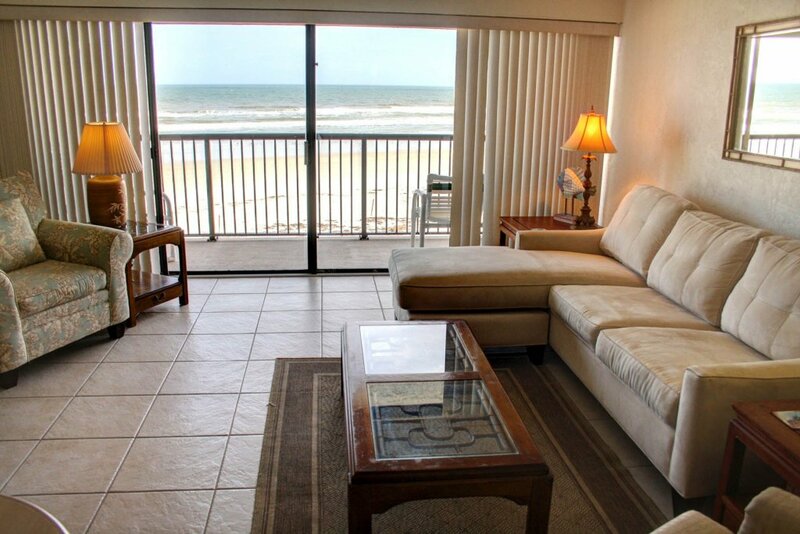 At 1368 square feet, our Standard 2-BR rentals are larger than most 2BR condos on New Smyrna Beach. 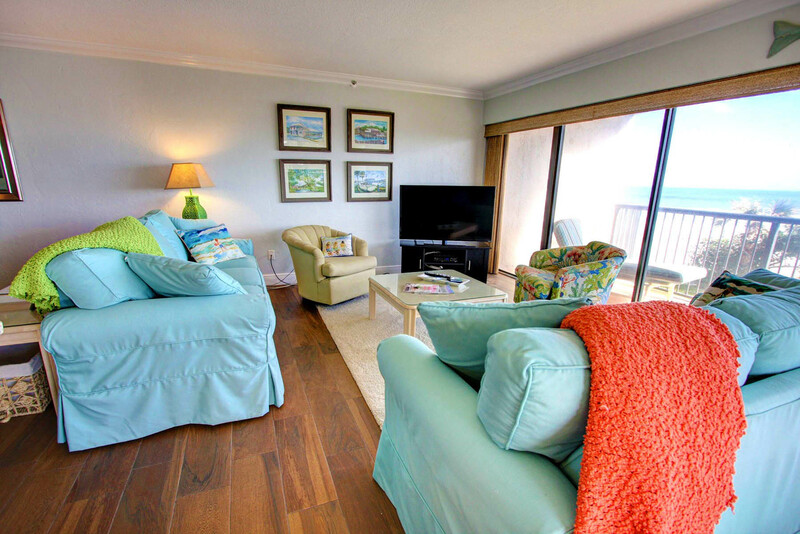 Though more compact than our Deluxe 2BRs, their floor plan gives the Master BR a more intimate connection to the sea. 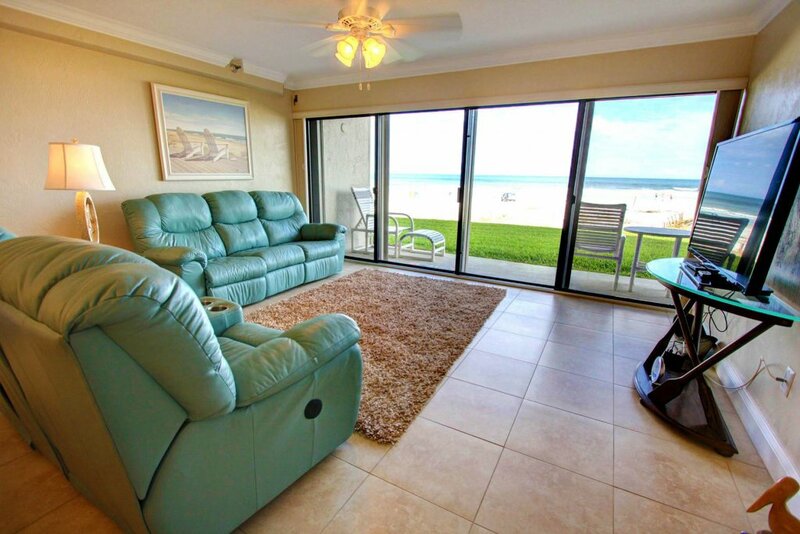 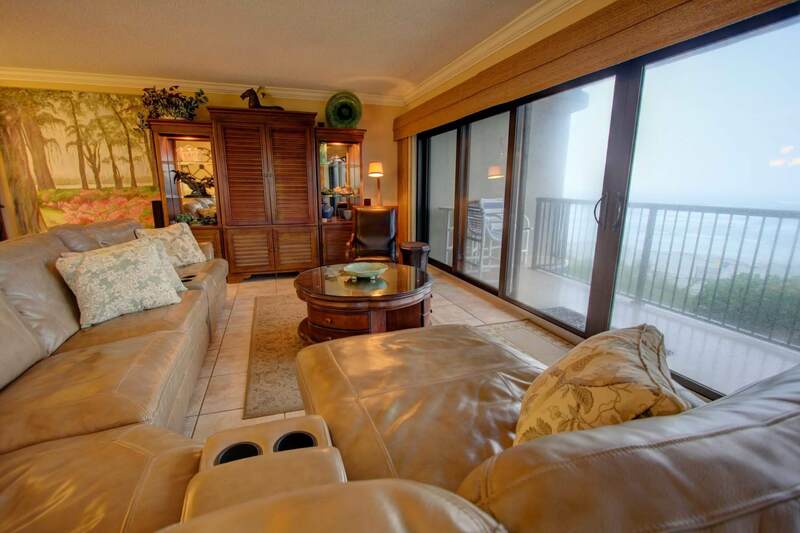 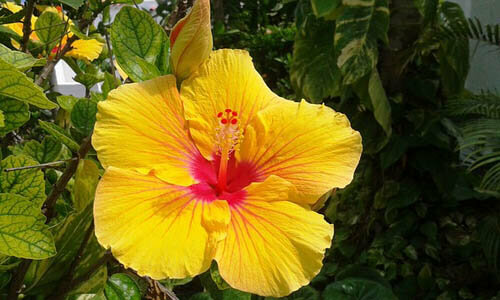 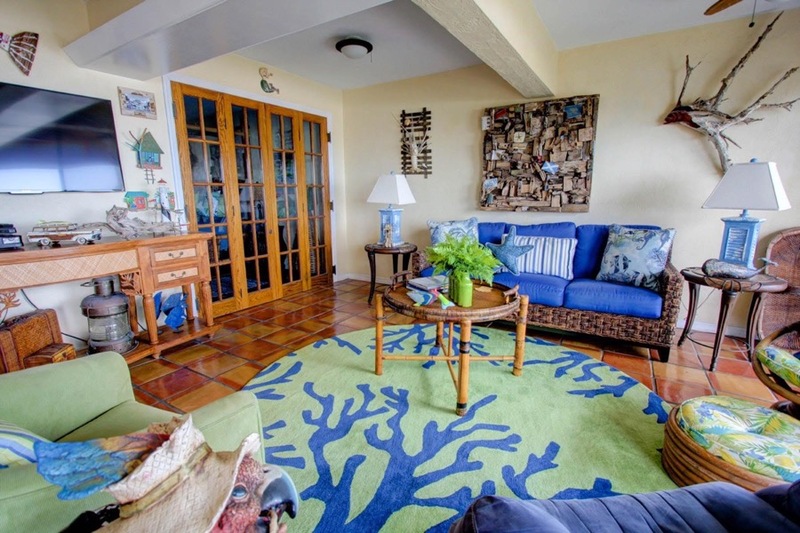 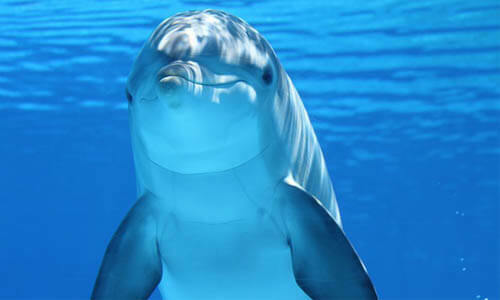 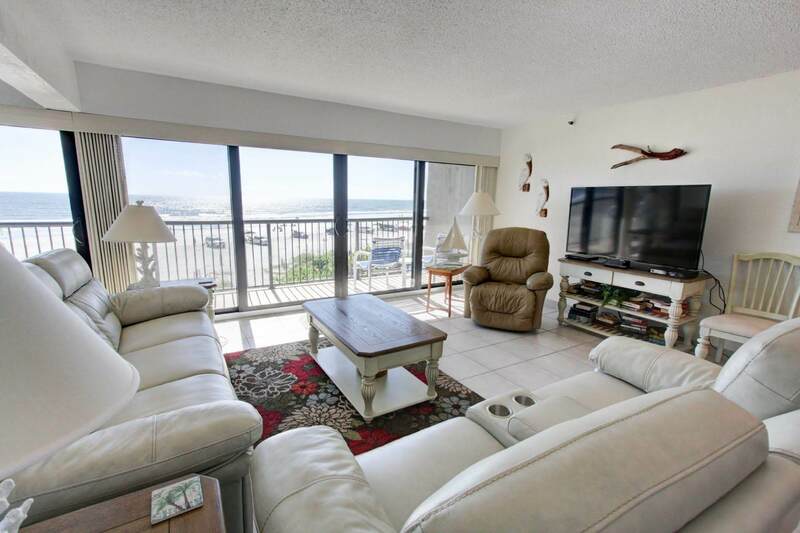 If seeing and hearing the ocean right from your Master BR appeals to your senses, then this sized rental. 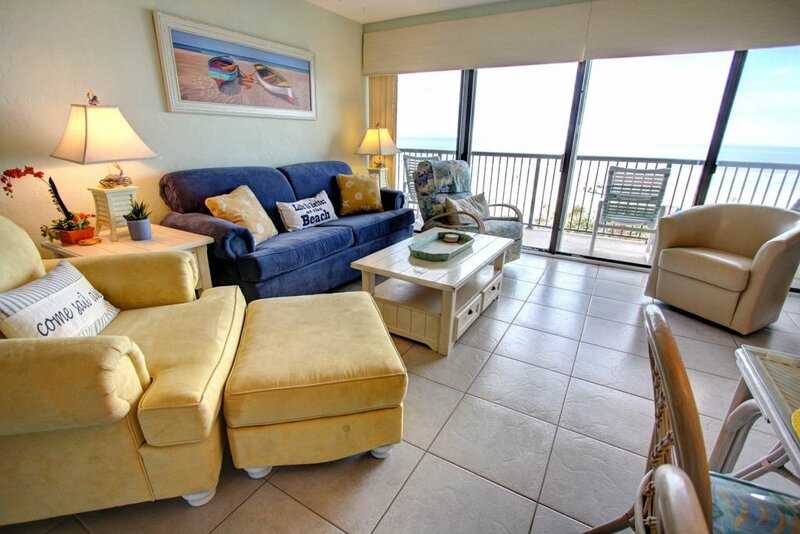 may provide all the essentials you need for the perfect getaway. 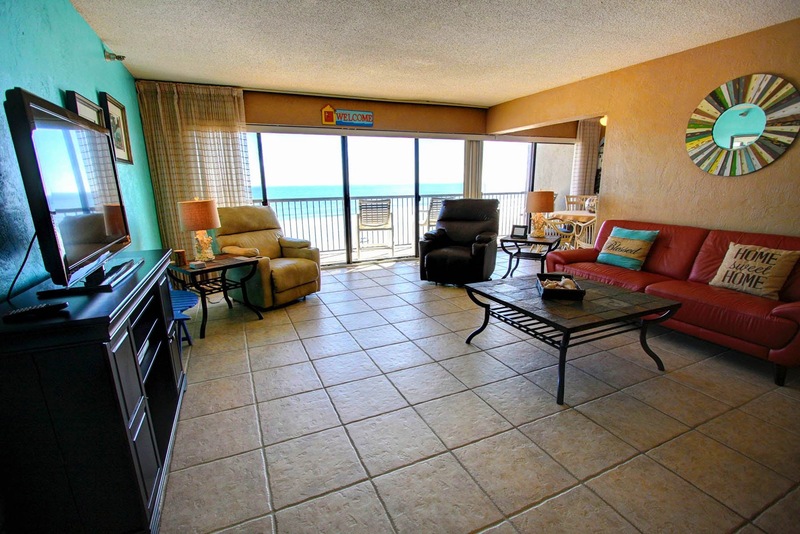 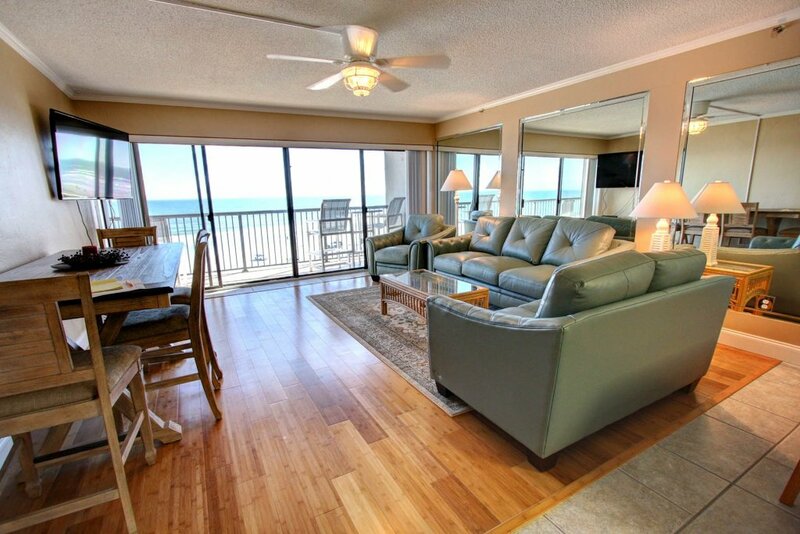 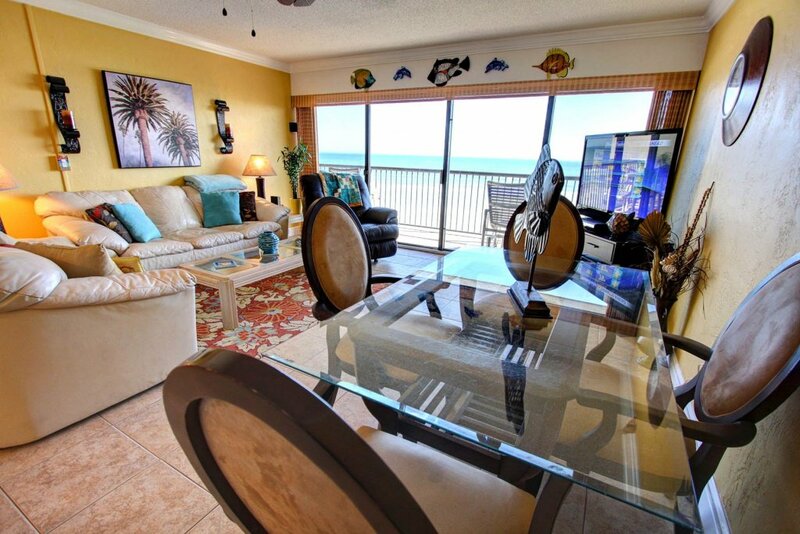 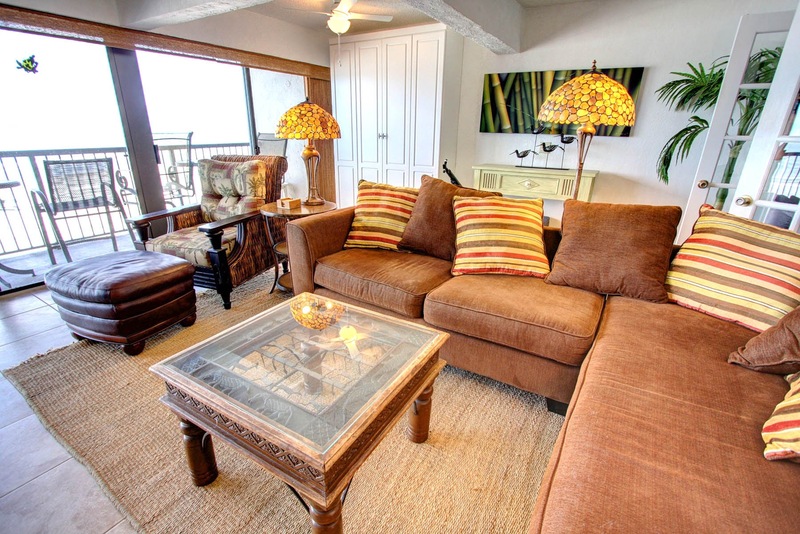 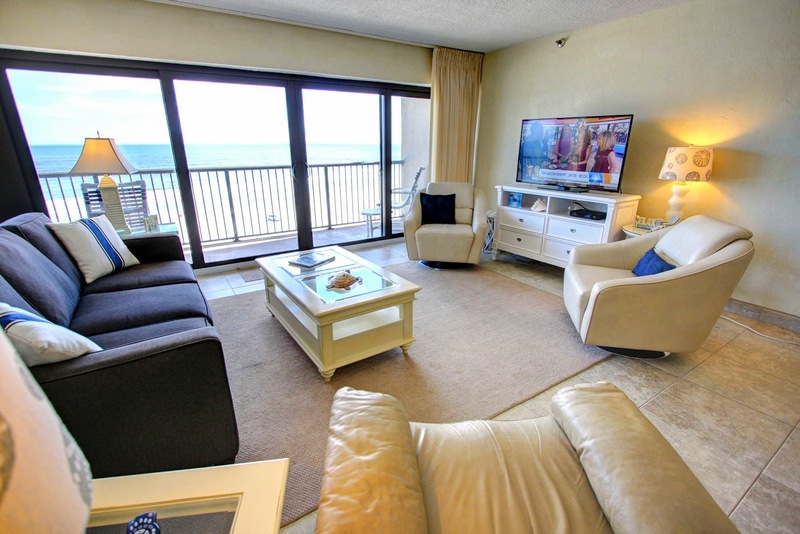 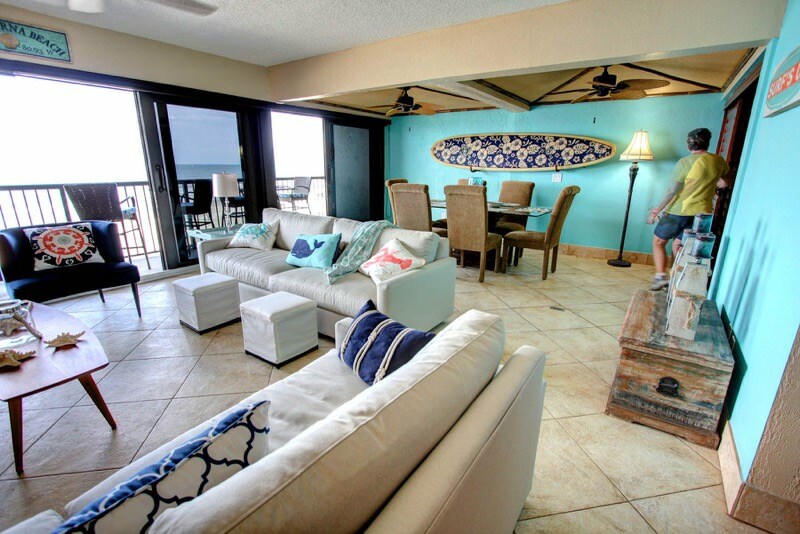 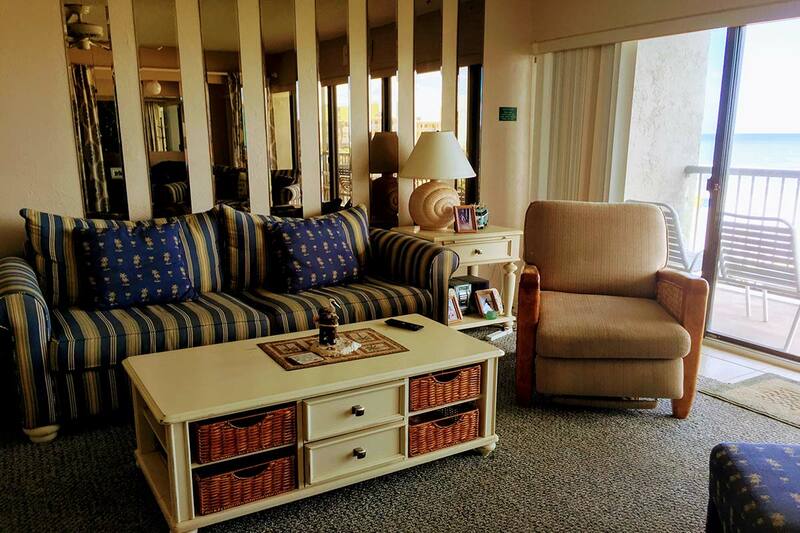 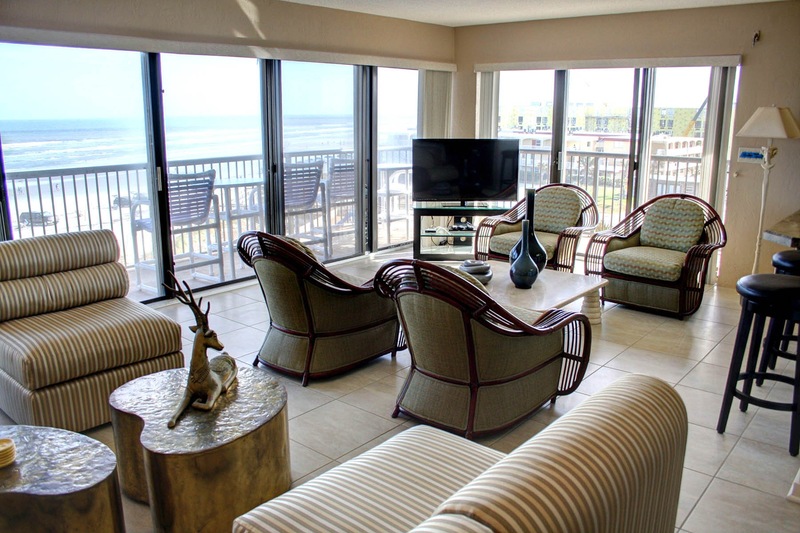 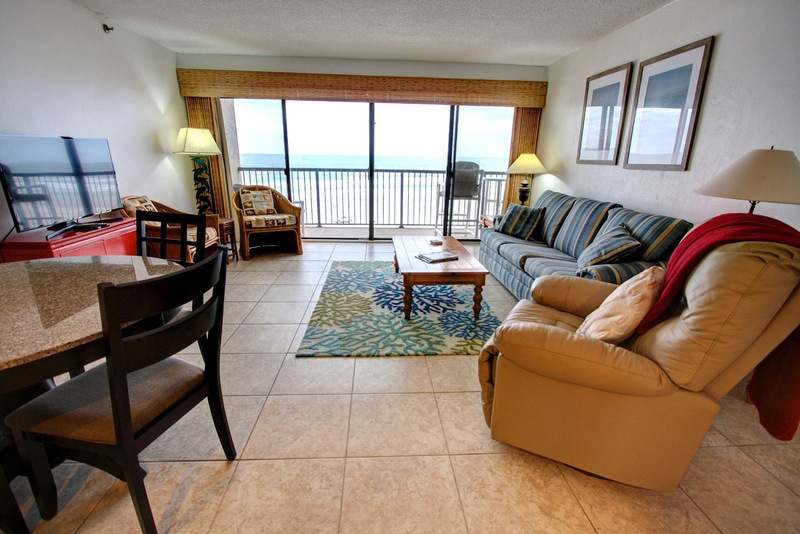 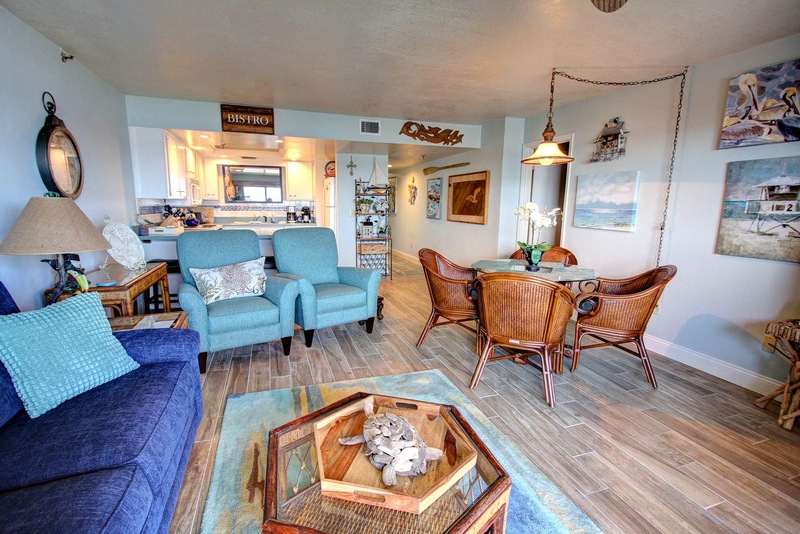 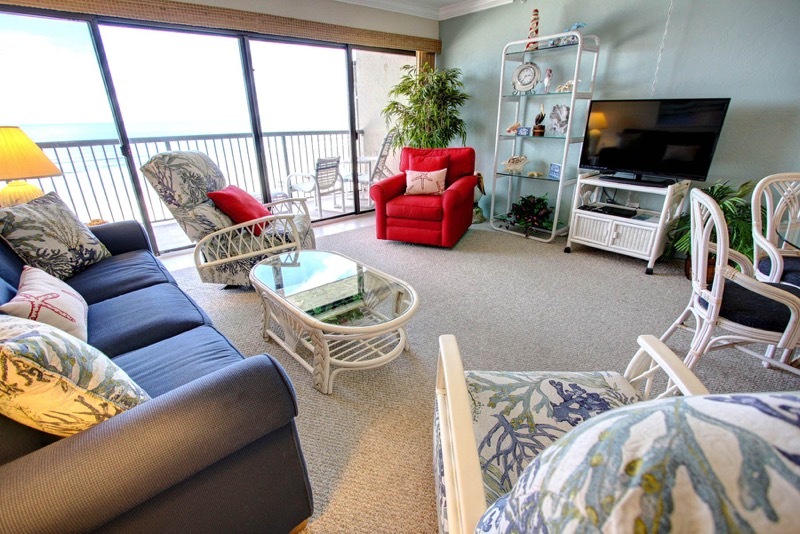 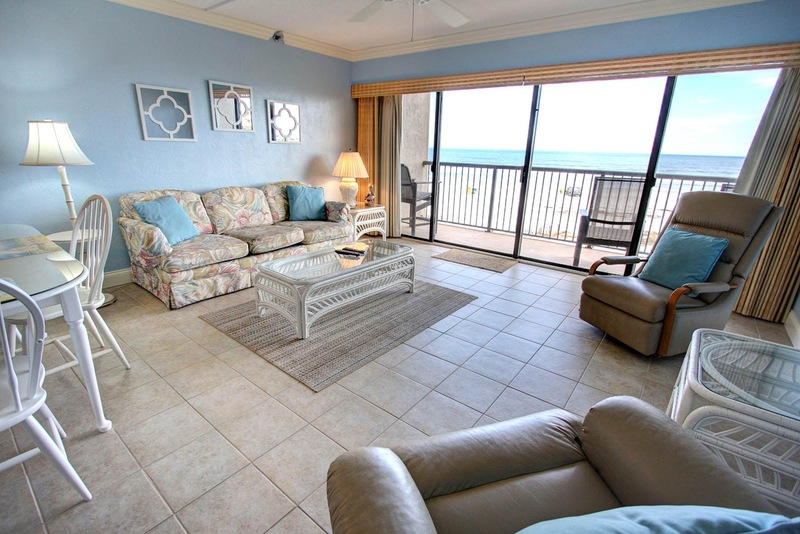 At 1570 square feet, our Deluxe 2s are among the most spacious 2BR condos on the beach. 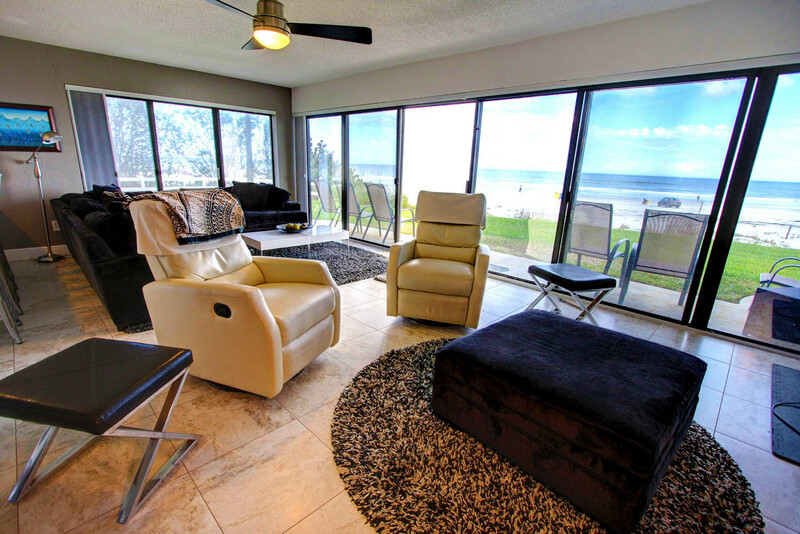 Renovations over time have opened these up to create generous LR/DR space and dramatic ocean views, making them a perfect choice for those who like to entertain. 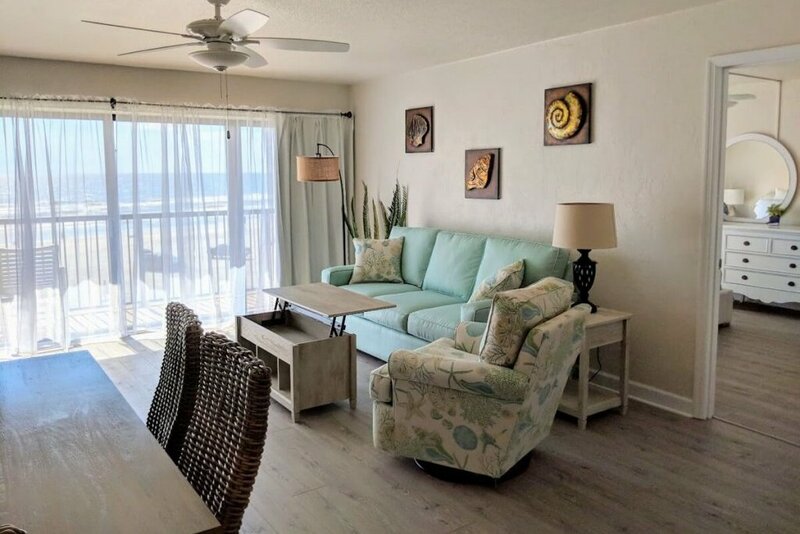 Chic to beachy, these are also popular with those who need extra sleeping capacity – as many have made space for extra bunk beds or Murphy Bed. 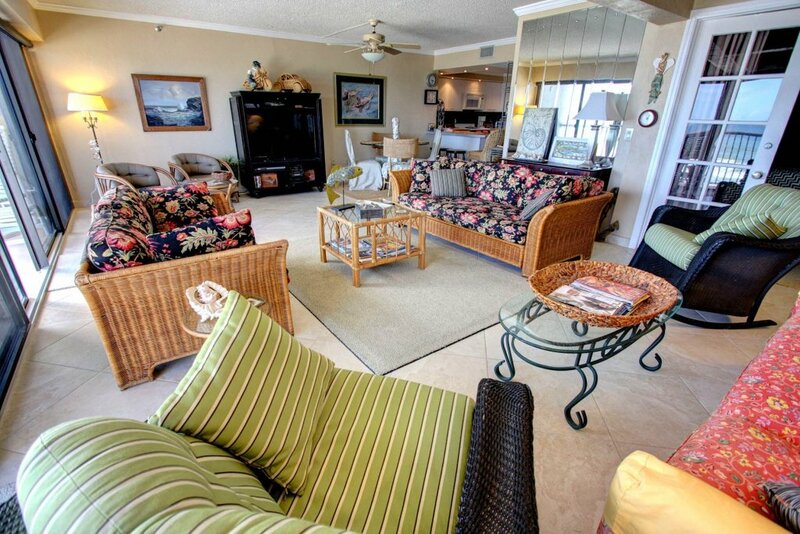 At 1823 square feet, it’s easy to understand why many returning tenants consider our 3-bedroom vacation rentals their ‘home away from home.’ Spacious and elegant, these coastal retreats are popular with larger families and people who come in groups… or who simply like to vacation in style with wraparound balconies from which they can welcome the sunrise and toast the sunset.